Laboratory | Connecticut | Internal Medicine of Milford, P.C. Cutting-edge technologies to enhance the quality of care. For your convenience, our office has an on-site patient service center of Bridgeport Hospital Laboratory. Laboratory tests can provide you and your doctor with a comprehensive overview of many crucial levels throughout your body systems. Some tests, called screening tests, can screen you for heart disease, diabetes or other medical conditions. Other times, when you are feeling ill or experiencing new symptoms, your physician may order tests to help confirm a diagnosis. These are called diagnostic tests. In addition to the services provided by Bridgeport Hospital, our office also conducts rapid result tests, including rapid strep, influenza, blood sugar monitoring, hemoglobin monitoring, and basic urinary tests. The laboratory provides experienced and friendly phlebotomists: technicians specially trained and certified in blood collection. Our patients at Internal Medicine of Milford, P.C. can also choose to go to any other laboratory: Quest Diagnostics, Clinical Lab Partners, LabCorp, UMass, or any of the hospital laboratories. Your physician will order the tests directly with the lab. It’s important that you follow the preparation instructions carefully. 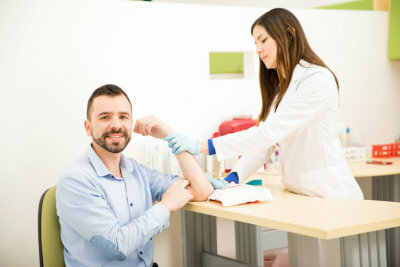 Many lab tests require that you are fasting, or not having anything to eat or drink for at least 8 hours before the lab test. The results of your laboratory tests are typically available for the physician within 48 hours or sooner. You will receive a call from a member of our staff to discuss your results. Set an appointment now. For other concerns, you can reach us at 203-878-3531.